Wrightsville Beach, NC - As more and more travelers are prioritizing personal health and wellness during vacations and getaways, it is increasingly important for destinations to offer healthier activities and food options. 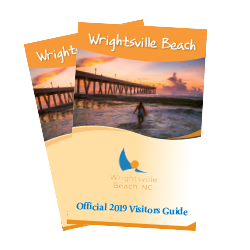 Wrightsville Beach, North Carolina, is not only known for its crystal-blue waters and clean and safe beaches, but also its array of watersports, restorative meditation classes, and nutritious foods for visitors focused on staying healthy while traveling. Surfing – Named one of the world’s best surf towns by National Geographic, don’t miss out on conquering the waves at Wrightsville Beach. If you’re a beginner, sign up for a camp or private lesson at one of the location’s many surf camps or schools. Standup paddleboarding – Experiment with one of the most popular and fastest growing sports while enjoying the great outdoors at Wrightsville Beach. Simply rent a standup paddleboard from a local outfitter or sign up for a SUP class. Kayaking – Combine beautiful scenery with a vigorous workout by kayaking Wrightsville Beach’s Intracoastal Waterway. Rentals and tours are available throughout the island. Wrightsville Kayak Company will even deliver your kayak rental straight to your location and pick it up when you’re done! SCUBA diving – Get up close and personal with sunken ships hidden beneath the glassy surface of Wrightsville Beach’s waters. Aquatic Safaris operates custom SCUBA dive boats that take guests to the south end of the island to see beautiful underwater rock ledges, marine life and shipwrecks. Running – Sign up for the PPD Beach2Battleship Iron Distance Triathlon in October, named one of the top five iron distance triathlons in the world by Triathlete Magazine. Or simply jog The Loop, the popular 2.45-mile trail around the island. Biking – Stop by a local outfitter to rent a bike, and take the 10-mile River to the Sea Bike Route that extends from Johnnie Mercer’s Pier to Riverfront Park. Bikers will enjoy a peaceful cycling trek along the historic trolley line. Writing letters – Pour your heart out or clear your conscience by writing an anonymous letter and putting it in a special mailbox located on the north end of the beach. The mailbox stays stocked with paper, pens and stories from visitors who have shared their memories throughout the years. Since the letters never get delivered, the mysterious mailbox is a way to leave behind your stress in the sand dunes and salty air. You can also visit the Wrightsville Beach Museum of History to relive more poignant letters from the past. Meditating – Experience beach yoga on the Crystal Pier with Wilmington Yoga Center. Classes run through October and focus on gentle stretching, deep breathing and relaxation techniques. Or cleanse your mind, body and spirit with meditation, a full-body massage or Thai yoga therapy at Salty Dog Yoga & Surf. Exploring nature – Hop aboard a boat headed to Masonboro Island Reserve and take a calming nature tour. Walk the longest undisturbed barrier island ecosystem in southern North Carolina and catch a glimpse of birds, fish and sea turtles that call the habitat home. Then check out nearby Airlie Gardens, a historic 67-acre park that has garnered nationwide fame for its spectacular plants, including azaleas, dogwoods, camellias and waterside oaks and pines. Watching the sunrise – Wake up early to take in the spectacular sunrise at Wrightsville Beach. Experience the breathtaking pink, orange and yellow colors above the glistening blue water from your balcony or your paddleboard, and soak in the serenity. Dining out – Enjoy award-winning cuisine accompanied by a relaxing environment amidst sounds of the breaking surf and soothing coastal breezes at East Oceanfront Dining. The restaurant offers fresh local seafood, grass-fed beef, and produce from its own gardenscape, along with vegan, vegetarian and gluten-free options. Or taste eclectic Southern comfort food at 22 North where menu items are so fresh that they change daily. Dining nearby – Venture over to nearby Wilmington for more healthy dining options. Epic Food Company offers a diverse menu catering to foodies, herbivores, vegans and kids, and Pembroke’s Restaurant showcases farm-to-table, seasonally inspired Southern cuisine. Dining in – Preparing a homemade meal? Check out Motts Channel Seafood, which has everything from Chilean sea bass to fresh shrimp and an abundance of sauces. Or head over to Lovey’s Natural Foods & Café in Wilmington to find natural and organic groceries, including produce, grains, flours, beans and meats. Vegan, vegetarian, gluten-free, sugar-free and low-carb products are also available. Dining event – Sample more of the area’s locally sourced products and ingredients at the Taste of Wrightsville Beach, taking place on Oct. 15. Bluewater Waterfront Grill, Ceviche’s, Oceanic, South Beach Grill, Sweet n Savory Café and East Oceanfront Dining all plan on offering dishes showcasing the variety of meats, produce, spices and more available in the Wilmington area. With an abundance of healthy activities at Wrightsville Beach – from watersports and high-endurance workouts to meditation and therapeutic writing – visitors are sure to have a memorable trip that both revitalizes and rejuvenates.